​The Ontario government has inked a deal to use Shopify Inc.'s e-commerce platform for cannabis sales online and in stores as part of its plan to be the province's sole distributor of legal recreational marijuana. 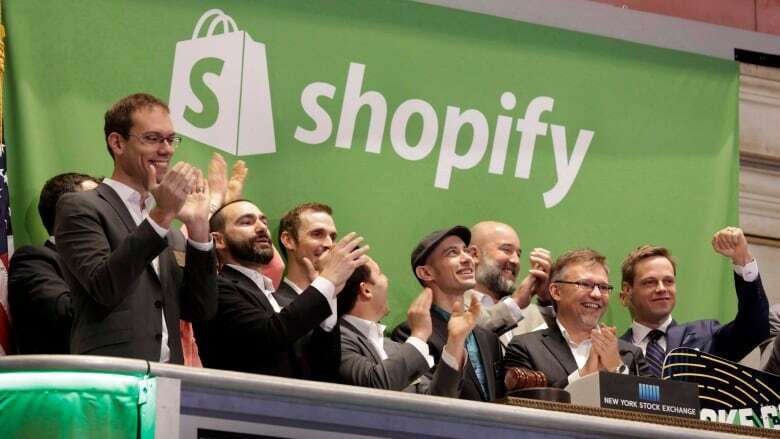 The Ontario government has inked a deal to use Shopify Inc.'s e-commerce platform for cannabis sales online and in stores as part of its plan to be the province's sole distributor of legal recreational marijuana. The Ontario Cannabis Retail Corporation (OCRC), a subsidiary of the Liquor Control Board of Ontario, will use the Ottawa-based company's online store software for its online and mobile sales portal. "Our top priority is fulfilling the province's framework for the safe and sensible retailing of recreational cannabis for when it is legalized by the federal government," said George Soleas, president and CEO of the LCBO. "We look forward to combining our expertise as a socially responsible retailer with Shopify's world-class commerce solutions to deliver the safe, informed and reliable shopping experience that our new customers will expect." Shopify's technology will also be used inside brick-and-mortar stores to process transactions on iPads and for digital screens displaying product and health information. The OCRC said Ontarians will have access to the same product information, use guidelines and social responsibility information — that adhere to federal marketing provisions — both in-store and online. The public consultation for Health Canada's proposed guidelines for cannabis regulation — which include limits on branding elements on packaging, as well as restrictions on marketing similar to tobacco — finished on Jan. 20, with a finalized version yet to be delivered. "Bringing this differentiator to the LCBO on this historic project to consumers of legal age across Ontario is a great example of a made-in-Canada innovation, which we are proud to be a part of," said Loren Padelford, vice-president of Shopify Plus, the division that focuses on big clients. The government agency will also use Shopify's platform to manage inventory, accounting and human resources operations. Sales of the drug in Ontario will only be available through government-run online or in standalone stores, while some other provinces such as Alberta and British Columbia are allowing for some private sales of cannabis.